A bus fare can be paid in cash or by transportation card (used to pay both bus and metro fares) upon boarding the bus. To indicate you want to get off, push the button on the wall. Get off using the back door. Note that the cash fare is higher than the transportation card fare. In addition, those who pay in cash are unable to receive a transfer discount. 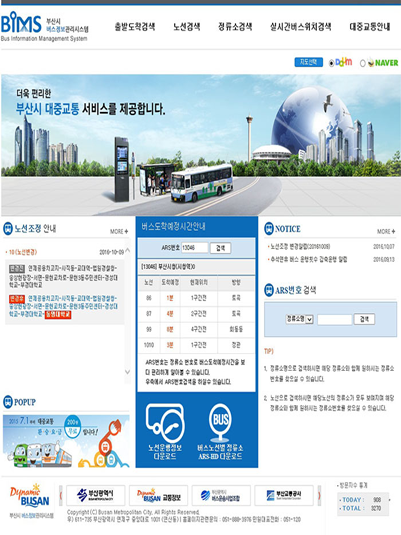 The public transportation transfer system in Busan applies to local buses, the metro and village/neighborhood buses. Up to 2 free transfers within 30 minutes from the time you get off the previous means of transportation. You only need to pay the highest transportation fare used. *In case of the Transportation Card, the free transfer is possible within 30 minutes from getting off. The transportation card can be purchased or recharged at convenience stores and metro stations. It is the cutting-edge transportation system which informs riding passengers, drivers and waiting passengers at the bus stop of the bus’s location and the estimated arrival time, etc. through the wired and wireless communications equipment and GPS (Global Position System). 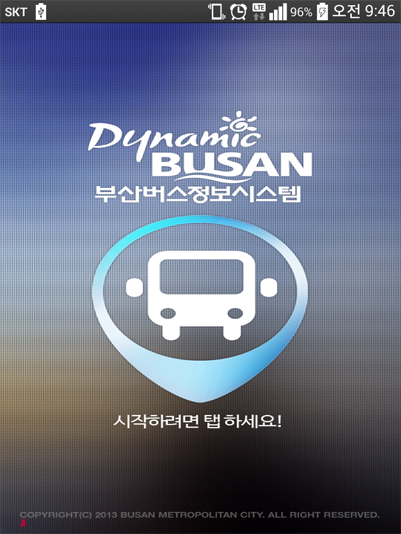 BIS can be found on the Busan Bus Information Management System website http://bus.busan.go.kr (currently only in Korean), mobile app. 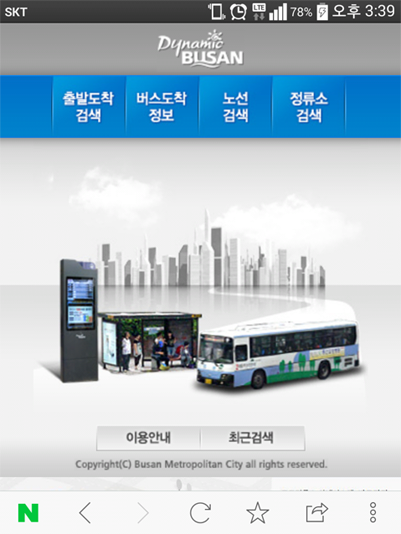 and BIT(Bus Information Terminal) installed at bus stops.